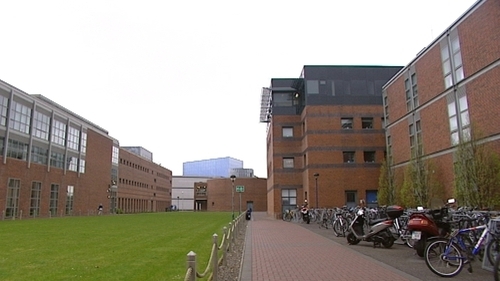 Students at Dublin City University have begun a campaign on social media to prevent the deportation of an asylum seeker student at the college. According to the college's students' union, Shepherd Machaya has been issued with a deportation order which requires him to leave the state by next Sunday. Mr Machaya is living in Direct Provision in Laois. Originally from Zimbabwe, he came to Ireland nine years ago. He was one of the first beneficiaries of DCU's University of Sanctuary scheme, which offers scholarships to a small number of asylum seekers every year, to enable them to study at third level. Asylum seekers are generally obliged to pay the non-EU rate of third level fees, which can amount to €13,000 or more per year. This makes college inaccessible for the vast majority. Shepherd Machaya is in his second year of a degree programme in Management of Information Technology and Information Systems at DCU. DCU's Students' Union says that despite his challenging living circumstances Mr Machaya, who is in his 30s, has overcome great odds to advance academically. Prior to enrolling at DCU under its scholarship programme, he completed a Level 5 course in Software Development at Portlaoise college. The students' union says that if he is forced to return to Zimbabwe he will be faced with the threat of torture from local political groupings. DCU SU president Vito Moloney Burke told RTÉ News that Shepherd had been tortured in Zimbabwe and his best friend killed by the same people. Mr Moloney Burke said he "should not be forced to go back to that". He added that Mr Machaya was "one of us". The students' social media campaign includes a petition calling on Minister for Justice Charlie Flanagan to revoke Mr Machaya's deportation order. The petition began this evening, and follows a successful campaign by second level students at a school in Tullamore to stop the deportation of 14-year-old student Nonso Muojeke and his family. Last week Mr Flanagan, who is a TD for Laois-Offaly, granted the Muojekes leave to remain on humanitarian grounds.